We had the most amazing experience of a life time! Every place was unique with outstanding accommodations and guides. Cape Town, the hotel and our guide were excellent. All of our connections and guides /drivers were on time and organized. Both safari camps had outstanding accommodations, meals, organization, and staff. We were treated wonderfully at each camp. We saw all of the big 5 up close. I can’t tell you how exciting this was. Victoria Falls was spectacular. The old hotel was beautiful. We enjoyed the restaurant outdoors and the show for dinner. The baboons were always entertaining! Our driver in Zambia to and from the airport was very interesting and took us on a tour of the market in Livingston. He took care of our transfer at the Zimbabwe border both ways with our passports and visas. We always felt safe and found our drivers interesting to listen to. They always gave us information to help us understand the people and culture. It was amazing to see a herd of elephants between Livingston and the bridge. They were in backyards,the street and the river. We thank you so much for arranging such a wonderful vacation! I apologize for not writing back sooner, and answering your request for an evaluation. I work in hospice, and since I landed in the Atlanta airport from Johannesburg, I have assisted in 3 deaths and I am a tired puppy. I hope by this time you are walking comfortably and pain free. Spring is such a beautiful time here in the desert; hopefully that is true for lovely prescott. During my trip, I often wondered how you knew me so well. that was just the right amount of time for my immersion in the bush. I met other travelers who were traveling all over beautiful south Africa for 3,4,6 weeks seeing topography and other points of interest..yet all I wanted for my first trip was to be with animals that are free. The trip you planned for me was a dream come true. I can not think of any more that I would want from that experience. Thornybush was so luxurious to me. I felt a bit awkward because I have never been catered to in that way. Such considerate, warm staff..and beyond comfortable surroundings. Gomo gomo was special mostly for the watering hole. To sit there and experience a herd of 30 elephants for an hour, just me and them, with all other humans either off on jeep safari or working indoors in the lodge...Just beyond any words I have. I am forever changed and I am so grateful to you and linda pershin. Thank you from my heart. Hi Louis, Life changing…. We are still dreaming a out it. We had such an incredible time, and already trying to figure out when we can go back. Thanks Christian S.
We had a fabulous trip! Cape Town was perfect! Our accommodations were outstanding and Wilderness did a great job with all of our day trips. Clyde, our guide, was top notch. Please let Wilderness know that he was great! Chiefs Camp is hands down the best camp that we have stayed at....we liked it better than Mombo. The camp and rooms were gorgeous, the staff & guides A+, wonderful, yummy food and the concession/wildlife viewing fantastic. You could go to Botswana and just stay there and have a trip of a lifetime. Enough said....we love, love, loved it! Duba was nice. Dynamics have changed since the famous buffalo hunting Tsaro pride has aged/passed away and the next generation is in charge. So, wildlife viewing was just ok. The food by chef, Herman was by far the finest that we have had in all of our safaris. Every dish he prepared was fabulous. Please let Duba Explorations know that many of us wanted to take Herman back to the states with us because he's that good. The main camp area was very nice & we loved starting each day around the fire. The rooms were fine...Duba style ���� The camp managers were new and didn't handle a few situations as professionally as they could have but they were fine. Baboons broke into Gail & Hugh's room and the way the managers handled it made it seem like they were trying to cover it up. Maybe/maybe not who knows? Vumbura was wet. We finally hit rainy season and it showed. Wildlife viewing was crappy but the guides tried really hard to show us a good time...they were great. The food looked nice but needs improvement....it just didn't taste good. The camp needs a bit of a facelift. There was a big broken window in the dining room and general aesthetics/maintenance that needs to be tended to. The guest rooms need a bit of tic too. The floors were dirty with days old dirt and dead bugs. It would be nice if housekeeping would do a quick daily sweep of the floors including the inside shower. We had a fabulous time Louis. The only reason that I'm pointing out some items is to help raise the camps up. They are all very special camps and we loved every moment of our trip. Thank you for all you did to help make it happen! Hi Louis, Sorry for the delay, but you know how it is coming back after a long vacation! Overall, the trip was wonderful - definitely a bucket list dream come true! 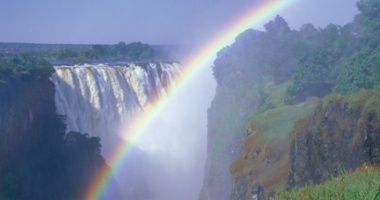 Botswana & Namibia, in particular, had been on my bucket list since I was a child. I think this was my first time staying in a Wilderness Safari lodge/camp - definitely impressed. Especially with their premier camps. At times, I could have used 1 more day here or 1 less day there, but generally speaking, 2-3 days seems about right. There were one or two misses in the airport between me & people there to collect me, but usually because they weren't where I expected them to be or I didn't see the sign they had. Mostly, they were in place & we were able to sync up. They definitely helped make the process smoother & easier. At Vumbura Plains, they had a hot bubble bath run for me upon me checking in & going to my room. That made my fricking day! LOL. I posted photos on social media bragging about how they were taking such good care of me! The food was pretty good & fairly consistent throughout. However, I wasn't impressed with the food at two places primarily - Sabyinyo in Rwanda & Onguma the Fort in Namibia. I realize they are some of the better places to stay in those areas, and maybe that's why I was a bit disappointed in the food - just didn't seem to live up to the hype. Sabyinyo - I would definitely make sure people understand there's a bit of uphill hiking to do to get to the room & around the lodge itself. Combined with the altitude, and/or if you're not physically fit for hiking, just going to your room can tire you out! The boat ride in Swakopmund was a nice contrast to the desert & a chance to try Namibian oysters as well as learn some of the historical & economic aspects of the country. I enjoyed that, as did everyone else. Anyway, those are some things that immediately come to mind. If I think of anything else, I'll be sure to shoot you an email. Thanks for everything! LOVE, LOVE, LOVE Leopard Hills....the height of luxury...fantastic food, accommodations, wines and knowledgeable drivers and trackers! It doesn't get any better!!!!!!! We saw every animal one could see on safari...as well as one or two that are rarely seen!!!! We had a fabulous stay! Hi Louis, I just wanted to drop you a note to let you know that we had an amazing holiday!! It was really wonderful, made even more so by the fantastic guide which we had - Gabriel - extremely knowledgable of the flora, fauna and the area.... And importantly a great driver with good judgement!! We saw all we could hope to see in the 8 or so days. The accommodation was also great and the people there just lovely. Thanks to you for your suggestions and guidance in setting up our trip. 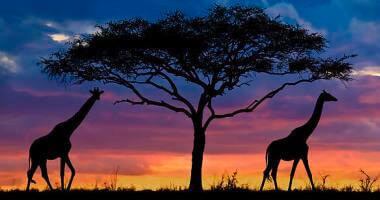 I would certainly recommend you to others looking for a fantastic safari experience. All the best! The trip of a lifetime! 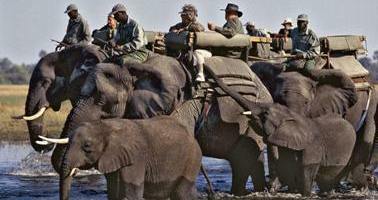 Louis and Terri planned such a memorable safari for us. Our accommodations were 5 star, the food was fabulous and the air/ground transportation was seamless. I cannot recommend AST highly enough. Their relationship with ground crew and accommodations is wonderful and the staff everywhere we went bent over backwards to assure incredible memories. Thank you for all you do! Hi Louis! We had a great time. Though most all the staff were excellent, the staff at Okuti were especially fantastic. We liked the accommodations at Okuti. The food at the Ker and Downey camps was great and they were very, very good at accommodating Rachel’s celiac disease. Lynianti Bush Camp’s food was okay, but they weren’t as good at the gluten-free diet. I was initially a little skeptical of having someone meet us at Tambo, but that was _fantastic_. Thank your for setting that up. We loved the helicopter ride at Lynianti Bush Camp. It was a great time! Louis: I just wanted to join in and tell you what a terrific job Fran did on following your advice/recommendations for the part of our trip following our Mt. Kili climb (which was also wonderful). Sequencing the fantastic travels after we were done on Kibo was a perfect way to go, starting with the Arusha Coffee Lodge the night that we were done with the climb (where our kids had lined up a bottle of wine for us at dinner for our anniversary and to help celebrate our having successfully completed the summit). And from there on it just kept getting better and better, starting with Gibbs Farm which was wonderful -- the food, accomodations, people/staff, etc. What a great property to spend a couple of nights after the 9 days on Kili. All 3 of the tent camps following Gibbs were perfect and each seemed to be at least a step up from the previous site -- although all were great. Perfect. Sand River was clearly at the top of the list, though, and I'd love to go back to that site for at least a few days. They spoiled us (which was the perfect feeling leading up to the end of our 3 weeks of travel) and I don't think that it was due solely to the fact that we were the only guests for those 2 days/nights -- I think that it would have been spectacular anyway. Everyone at Sand River was fantastic: from Tim the manager (who went out of his way to look out for us including repeatedly contacting Arusha and Nairobi to make sure that 2 items that were supposed to be transferred by Ranger from Arusha actually found their way to us before we boarded our flight home in Nairobi); Chef Benedict who we attempted to smuggle home; our personal waiter, Jules; our guide/driver Daniel, who was unbelievably good; etc. It was simply the perfect way to end a wonderful trip. Thanks very much for all of your valuable help. P.S. We were lucky enough to be the only guests at Rekero one night and the only guests at Sand River both nights. We were treated like a King and Queen. Louis: Just wanted to let you know that after many (and I do mean MANY) hours on the phone between Linda and Lufthansa, we finally managed to get our “premium economy” seating. Linda is an absolute doll and so worth the extra $100 we paid for her expertise. I know you like to use her services and just wanted to reiterate how really wonderful she is to work with. Very patient, accommodating and understanding with a great sense of humor. She had to change our flights around (we’re now going through Frankfurt rather than Munich), but she got us our seats and we’ll be a bit more comfortable traveling in this way. I just wanted to make certain you were assured of her great service and compassion for those of us with “special needs.” Cannot wait for our trip…. Louis, I just wanted to thank you for all your help. Our trip was amazing, and everyone loved it. Keep me posted on future trips and deals. Cheers! Good morning Louis & Terri, We did have an excellent trip and saw and captured thousands of images. However, the illusive elephant in the water shot has still not been recorded. Happy Holidays to you both and the best to the two of you! Kind regards! Just a note to tell you Carolyn and I are back one week now form our wonderful African experience. Everything went as planned. Camps were exceptional. We could not have asked for a more relaxed (after we got over our jet lag and constant afternoon naps) hassle free vacation. Our favorite camps of the 3 were Vumbura Plains and of course Abu. Thanks for turning us on to Abu. Hi Louis, Your photographs are absolutely fantastic!!!!! I smiled and ohhhhed and ahhhed as I clicked through them and can hardly wait to repeat it. Thank you so much for the link! I forwarded the link to my mother and sister and they were thrilled. I can hardly wait to see the animals, especially the elephants swimming across the river. I had a wonderful time throughout the entire trip and it was especially nice getting to know you and Terry and Lourenco and Riana… I'm still waking up at 5:30 and sure hope that changes soon. Thank you for a wonderful Africa experience! Aloha and thank you for checking in on how our trip went! We had an AMAZING time! We’ve had company in town since we got back, so hoping to catch our breath and go through photos soon after guests are all gone later this week! Thank you for assisting us with the travel! Hi Louis, I returned last night. I didn't think it was possible, but the second time was even more fun!! We were treated like royalty at (Governors) Il Moran. There was a wonderful farewell celebration on our last night - with a beautiful cake and entertainment. I made new friends at Il Moran (my family continues to grow) and I will certainly miss them all. I think we have created new fans and the rest of the group will surely return. Thanks for your help. Look forward to planning another trip to Il Moran - hopefully very soon!! Cheers! Louis, Just a quick note to let you know we had another wonderful time on our recent holiday through S. Africa and on to The Maldives. Everything went as smooth as could be expected. Please forward our thanks to Daniel and crew at DM Africa. I would highly recommend Cocoa Island in the Maldives. If you would like I can forward photos of the place. Thanks again! Hi Louis, The safari was wonderful. Those lemurs in Madagascar are delightful. We had a great time there. The highlight of course was Kruger where we saw leopards for the first time in all our travels. Now we are wondering about Mozambique. Do you have any trips there? Dear Louis, We had an amazing trip to Africa and can't thank you enough for everything you did. There were no problems anywhere whatsoever, the Orient Express camps were incredible, the wildlife was breathtaking and all 8 travellers are thrilled. Thanks again for putting together such a great trip. I will be sending anyone I know your way when it comes to booking travel to Africa. We all had a blast in Cape Town. Did Table Mountain in the morning and the Wharf for lunch. Our wine tour on Tuesday (stopped at 3 … including lunch at GRAFF) was terrific. Norm Stevens had bus for 8 so Gerry / Vickie / Steve / Vicky / Rob / Marie / Barb / Me went full day… 10am to 6pm. We stopped and walked Stellenbosch..on to Franschoek and the entire tour was a big hit. Barb and I walked the local craft market Weds before we left for airport so I think we got the general feel that Cape Town is a definite destination on future itinerary plans. Email me so I know all’s well and tell your brother I was just so glad to meet him in person.. I couldn’t help but give him that big SQUEEZE at the airport … hope he wasn’t terribly shocked! Just wanted to take a moment and let you know how much we enjoyed our trip. It truly was a trip of a lifetime for us. Something that I could not have imagined in my wildest dreams. Thank you for organizing such a wonderful experience. And I have to say, that getting to know the two of you was as much of a treat as anything. You two, Amy and Jeff, Vladi and Nellie.......so much fun!! (we'll just let the others go unmentioned :) Terry, how are you doing? I hope you were able to get that tooth taken care of quickly. Thank you again for a wonderful trip and looking forward meeting up again. Blessings to the both of you. We have just returned from our trip to Africa and wanted to thank you for the perfectly wonderful arrangements you made for us. It exceeded our wildest expectations, and everything worked like clockwork. We enjoyed all the camps - each had its own special flavor - and the staff everywhere was gracious and accommodating. We could not have been more pleased with Wildlife Safaris and will recommend them and you to our friends who are considering African travel. As you mentioned, the bonus of going in the summer is seeing the babies and we did see lots of them. I think we have fallen in love with Africa and hope to return to visit other areas we missed this time around. Additionally, the Hotel Heinitzburg in Windhoek was superb! Again our thanks - the trip was so well planned and executed we didn't have one problem anywhere and we are not used to being so well cared for! I just wanted to say thanks and congratulate you on a trip very well organized. It all went without a hitch and it's great to see Africa is as good as ever. The only place I probably won't visit again is the Chobe Safari Lodge. I think the standards have dropped there even since I was there in 2000. I can't believe how much Kasane has grown - I was last there in 2004 and almost didn't recognize it. The Marina Lodge looks very posh. Also, the Victoria Falls Hotel is looking fantastic after its refurb. Such a wonderful hotel. Thanks again and we are already saving for our return trip to Africa! Just wanted to let you know that the 5 Day Kruger Safari was wonderful! The guide was very knowledgeable, and overall it was a great trip. Thank you! Roy and I just want to thank you for making our arrangements for the trip of a lifetime. Everything went like clockwork and we really loved the country, the animals, the beautiful land, the people we met and the cultures we learned about. It was awesome and I canï¿½t get it out of my mind. We took 1500 pictures!! Thank you again for a job well done. Peg M. & Roy B. My memories will always include the smell of wild African sage, the beautiful clouds, tall green grass, wild dogs with "Mickey-Mouse" ears that look tame enough to pet, the sounds of birds and hippos outside our tent, and the graciousness of the beautiful African people. Iï¿½m ready to go again! I just wanted to let you know how much we enjoyed the safari you arranged for us. Enjoyed is hardly the word actually. It was great!!! There were absolutely no "glitches" and the guide we had, Norman Majid, couldn't have been better. We found out from another guide who worked for a different company that Norman and Pollmans had won awards for best guide. He was really great! Anyway, I just wanted to thank you for the excellent arrangements and let you know that you can provide my name as a reference any time! Just wanted to tell you that Lukimbi was everything that had been promised! Thanks to all of you for all you did to make this trip such a wonderful experience! Hi Louis - Our trip through South Africa was wonderful. What a diverse and beautiful Country! After leaving the wine country, we drove up the Garden Route with some side excursions to Oudtshoorn, Swellendam and Wilderness. We loved the Transkei and the Wild coast as well. Next, we ventured into the Underberg area. What magnificent farm land and green rolling hills that go on forever. From there we headed up, into the Drakensberg Mountains and loved our time there. They are truly a beautiful Mountain Range. Then it was back towards the coast thru the Midlands, and up the coast. We got as far as St. Lucia (which we loved!) and then had to start back down the coast. We stopped in places we missed on the way up such as the south coast, Nature's Valley and enjoyed it all. As we got close to Cape Town, we visited Hermanus and that area as we missed it on our way out. We spent another few days in Cape Town relaxing and regrouping and an moving trip to Robben Island before we headed home. While we loved South Africa and our time there, there is no question that the Safari in Botswana was the highlight of our trip. Definitely a trip of a lifetime and "Beyond Expectation" ! Jennifer and Norm still have a lot of editing to do as they each have at least 5000 images from the trip. They have been asked to do a show in Aspen as a Father/Daughter view of Africa and are looking forward to that! Louis - I just wanted to let you know that we had a wonderful time! Julius was an excellent driver and guide. As you may have heard my husband became ill overnight and had to contact the physician on call at the Norfolk Hotel. I am very thankful that we were staying there! The doctor arrived promptly checked Rich over and provided the necessary medication to correct the problem and we took off shortly thereafter. Thanks for providing us with another wonderful African experience! Dear Louis - My husband and I booked a gorilla safari through your company in July and I wrote an article about our experience in our local magazine that goes out to 80,000 households in the greater Las Vegas area. Please send me an address that you would like me to mail a few copies to you at. Thanks you so much! You did a great job for us! No glitches at all. All 4 girls made it to Uhuru Peak on Mt. Kilimanjaro! Ngorongoro Crater was spectacular, and so was the Indian Ocean Beach Club in Mombasa. I finished my commitments a week early and joined Ellen and Margaret at IOBC, and really enjoyed myself. Ranger & Pollman's Safaris are excellent operators! Thank you for all the embellishments to our Safari! It was wonderful! - Both Porini Camp and Kicheche Mara Camp. All that you asked them to do for me was done. I was catered to at meal time by both Peter at Porini and Sonja at Kicheche. Everything and everyone was terrific. The service was impeccable! Couldn't have asked for any better than what we received. Andy at Kicheche guided me with an armed guide on a nature walk. He stopped at every bush, flower and tree -spelled the name and told me how it was used. Thank you so much! I will definitely go again in a few year's time. I know someone else who would like to go!!! Just wanted to let you know that Barbara and I had a fantastic time on our safari! Some of the people we met were staying at just one camp, but we were glad we had two separate camps. And they were so different from each other. The climate and vegetation at Porini was totally different than at Kicheche, making each camp wonderful in its own right. At Porini I awoke both nights because there were giraffes and gazelles right outside our tent. Believe me, I gladly gave up a sound night's sleep for that experience! One of the best times was when we walked to the Masai village. It was just Barbara, me, and our Masai guide, being guarded by four young, handsome Masai warriors. The people in Kenya, both Masai and otherwise, were so friendly and nice! It was an experience I will never forget. As far as the animals, I saw everything I wanted to see except for the leopard which they said was very elusive and rarely seen in that area. On my last morning in Kicheche, I saw a big male lion, two females, and four cubs. That alone made the trip worthwhile! Thank you, Louis, for all your help. We met very few Americans on safari, but we're doing our best to spread the word! Hello Louis - I must give tell you that our trip was absolutely fabulous! From start to the very end the trip ran like a "Swiss Watch". Everything was organized to perfection. Our hotels and camps were fantastic, with excellent service, delicious food, excellent accommodations and wonderful service. Virtually every person whom we encountered from the minute we landed in Cape Town until they said goodbye to us in Johannesburg was helpful, attentive, knowledgeable and warm. I could go on and on and on! I would absolutely recommend Orient Express as the way to go! I must also complement dmAfrica for their work. The tour company they use, Paradise Tours did a great job and we loved our guide Willy. You get an A+ for your suggestion of Tongabezi Lodge. They had a bubble bath and a candle lit pathway to our outdoor tub waiting for us when we returned from our sunset boat game ride. A very romantic lodge with great service! Thanks for your work on the trip. I will be most happy to recommend you and dmAfrica and Orient Express as a team to create the best trip we have ever had! Hi Louis - I want to thank you for arranging such a delightful trip for us. After we had been in Swala Camp, Sig said, "I could go home today and be very happy"! Little did we know that each camp was going to get more elegant and more fun! I suspect that you thoughtfully told the camps to put us as close to the dining room as possible, because of my walking problems, which they did. In fact we were right next door to the dining room at Crater Lodge. Thank you for doing that. And thank you also for the surprise song, dance and special cake that was presented to us on our last night at dinner. Not only was it the kitchen staff, but also our butler, our ranger and the manager of the camp joining in. I suspect you will be getting requests from several of our friends, not only in NY but across the country. So many have said that they had talked about a safari but never really pursued it, but after hearing about our trip it has risen to the top of their list! I have sent your name to several people. Thanks again! Louis - I just wanted to tell you how much we all appreciated all your efforts and sound recommendations in setting up our safari in South Africa. It was a great experience, in a wonderful and beautiful country. Gomo Gomo was just the right type of safari camp for our purposes. They did a really nice job both in camp and on the visits into the bush. We got unbelievably close to so many of the animals. We recommend Gomo Gomo for anyone, not to mention your timely and responsive services. Thank you, from all the Lyon family. Hello Louis, - Wow! What a great trip we had with Wilderness Safaris in Botswana! We loved every moment with our wonderful guide (David Luck). Now we would like to go to Madagascar. Do you have any trips there? Look forward to hearing from you! We had a wonderful time in Kenya. I would be happy to be a reference for you if you ever need one!. Everything went so smoothly. I was a little nervous about all the different pickup and deliveries to various camps, airports etc. but everyone showed up on time. Everyone was extremely helpful and friendly. The camps were wonderful, the food was great. The trip was so relaxing, so different from our everyday lives!. It was fun to talk with the Kenyans and hear how interested they were in our lives which are so different from theirs. Thanks so much for your good work! When we go again - you will be the one we contact! Louis - My husband and I want to thank African Safaris and Travel and Wilderness Safaris for arranging our 'safari' in South Africa. We were very pleased with Thornybush Game Reserve and Chupungu Camp in general. The managers, Kerry and Nick, were very gracious hosts. Norman, our tracker, was so prompt at the 5AM-wakeup knock. All the staff was terrific. The meals were great as well as the South African wine!! Our tent was lovely!! The days we spent with Nick and Norman were great. Each time We !were so surprised that we could get to see the animals so up close. Kerry, Nick, Norman and the rest of the staff made it so personal. Thornybush Game Reserve was so nice! All of the arrangements went smoothly - the meet-and-greet at the airport, helping with the shuttle to our hotel, flights to Hoedspruit and return, and flight to Cape Town. You, and ground tour operator, Wilderness Safaris (Karabo Kgomongwe and Caroline Culbert), did a fantastic job of arranging our safari. Our sincere thanks! Thank you again for recommending Chupungu Camp and for handling all the arrangements. South Africa in general was such a treat! Nice climate, beautiful scenery, and friendly and courteous people. It will be hard to top this holiday! We will return! Hello Louis - Just to let you know that we enjoyed a wonderful vacation. We enjoyed time with our daughter and the safari was exceptional. The guides and arrangements were great and we were very impressed with their knowledge and service! Thank you for arranging it all for us. We will certainly recommend it to others. Hi Louis - Another wonderful safari! Those lemurs in Madagascar are delightful. We had a great time there. The highlight of course was Kruger where we saw leopards for the first time in all our travels. Thanks so much for another great safari! Dear Louis - We had an amazing trip to Africa and can't thank you enough for everything you did! There were no problems anywhere whatsoever, the Orient Express camps were incredible, the wildlife was breathtaking and all 8 travelers were thrilled. Thanks again for putting together such a great trip. I will be sending anyone I know your way when it comes to booking travel to Africa! Louis - Just a quick note to let you know we had another wonderful time on our recent holiday through South Africa and on to The Maldives. Everything went as smooth as could be expected. Please forward our thanks to Daniel and crew at dmAfrica. I would highly recommend Cocoa Island in the Maldives. If you would like I can forward photos of the place. Thanks again! Hi Louis - I didn't think it was possible, but the second time was even more fun!! We were treated like royalty at (Governors) Il Moran. There was a wonderful farewell celebration on our last night - with a beautiful cake and entertainment. I made new friends at Il Moran (my family continues to grow) and I will certainly miss them all. I think we have created new fans and the rest of the group will surely return. Thanks for your help. Look forward to planning the next trip to Il Moran! Louis - What an awesome trip!!!! Everything went off without a hitch. We had the most incredible game viewing I think anyone could ever have. The hospitality of the Kenyan people was like no other in the whole world. The game viewing exceeded all our expectations. In the Samburu portion of the trip we saw a leopard get a kill, take it up in a tree, climb down and call for her cub and find her. There were many herds of Elephants, Grevy's zebra's, Reticulated Giraffes, Eland, Grant Gazelle's, Impala's, Bushbuck, Gerenuk, Grey Duikers, Dik-Dik's, Warthogs, Olive Baboons, Vervet Monkey's, Lions, Jackals, Genet and more, I'm sure! Our driver, tent steward, waiters and all the personnel went far beyond their duties to make everything so personal and wonderful. We wanted for NOTHING!!!!! The Governor's Camp was equally as wonderful. The game viewing was spectacular as we hit the migration of the zebra's and wildebeest. We watched them cross the Mara river and one zebra got attacked by a crocodile. There was a hippopotamus fight over territory that was amazing. We saw so many families of elephants and so many lion prides with the largest one having 15 lions in it. They had just killed a giraffe and were filling their bellies. We found the white rhino's that they are reintroducing into the Mara, a cheetah with 3 cubs and a cheetah with one cub, a cheetah stalk, run and killed a Thomson Gazelle. We have so many awesome photos and so much video footage that National Geographic and Big Cat Diary have nothing on us, as a matter of fact they would probably love our video and some pictures. Truly it was a most wonderful adventure and I want to do it again and staying a little longer. I left part of my heart in Kenya. I will return! - Thanks for all the arrangements! Hi Louis - I just had to send you an e-mail thanking you for the most spectacular vacation we ever had! My husband and are are very impressed at how smooth everything went. We made several transfers from country to country and had several modes of transportation, and yet people were always waiting at the borders or elsewhere to take us to our next destination. The camps you picked were perfect in every way! The time we spent at every camp was also perfect. We didn't stay a day too long or a day too short at any of them. Plus, the time of year you recommended was ideal. We had great weather and saw all the wildlife I could have only dreamed of. You truly know Africa!!! We are planning on going back and will be using your services as well as Gracy Travel for our flight arrangements. If you would like to pass along my letter to other new travelers to Africa I would be glad to share this information. Thank you for making my nervous self more relaxed and for helping us to plan a trip of a lifetime. I can't say enough other than will be back, and only with African Safaris and Travel! Louis - We had a wonderful trip and thoroughly enjoyed our African experience. Our guide was extremely knowledgeable and did a wonderful job. The camp crew, also, were great. We took stacks of pictures and lots of video and spent weeks boring all our friends with them. We're very glad we went and especially glad we picked you, the tour company, and that itinerary. It was definitely the trip of a lifetime. Thank you for all your help getting us there! Dear Louis - We had an absolutely incredible time....lodging, guiding, etc. was more than we could have hoped for...especially at Selati Lodge at Sabi Sabi... Phinda was also great... would love to repeat the experience. Incredible service!!!! Best vacation we ever had.....!!!!!!!! Dear Louis - Well it's good to talk with you at last as Bob has always been our contact, so first off can I just say thank you for organizing the most memorable holiday I have ever had in my life. Bob and I have wanted to go on a safari for about 25 years but with a small child and both of us working the timing was never right, so with number one son married and Bob working in Africa timing was now perfect. I fell in love with Africa, the people and THE MAASAI. Our accommodation in all the lodges was first class and ending up with a few days in Zanzibar was perfect. I can always tell when I have had a wonderful holiday because I never want to leave for home. 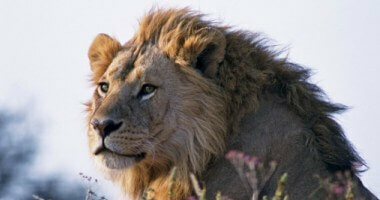 When we plan our next safari we will certainly contact you! Louis - The safari you arranged for us was unbelievable.!!! Pollman's handled everything perfectly and took care of everything despite our late arrival. Honestly, I couldn't have dreamed a better vacation - I will recommend you to everyone I can. Thanks for your help with everything! You are living in China? I came out to China/Shanghai in '81 as a student and have been working in the region ever since...now in Hong Kong. I heartily recommend Mr. van Tonder. I don't know him personally or have any relationship other than choosing his name/company off the net after doing rather extensive research. I wrote to several travel agents specializing in safaris and he supplied the most efficient/professional reply immediately. And, as I had very specific and demanding requirements, he was actually the only one who enthusiastically replied and tailor made the safari to my needs. What you need to be aware of more than anything else is to know exactly what you want from a safari (roughing it, tents, lodge, what animals you want to see, what season--June through end August is best; we didn't have a single mosquito and game viewing was amazing.. we went 18-26 Aug--pure decadence or simple, socializing with others or not....etc). If this is your first time to Africa, as it was for us, I highly recommend using a travel agent just to make certain all your travel arrangements are well taken care of...which Louis did perfectly...not a single hitch and I didn't have to worry about anything except showing up (we did take out travel insurance though, as one never knows what can happen along the way...). If you need any other advice, feel free to write (in case you spend anytime in Johannesburg...know some great restaurants...and where to shop for gifts, etc), but in summary, I'd use Louis's services again without hesitation.